The Master Program MSEM offers a unique combination of courses in emerging technologies & systems engineering. Processes, methods and tools for the challenges of future mobility in e-drive, autonomous driving, communication-over-the-air, and worldwide release & configuration management are introduced on the engineering as well as on the management side. Watch the Online Info Session with Prof. Gauterin about his Specialization within the program. Watch the Online Info Session with Prof. Doppelbauer about his Specialization within the program. Electronic systems are omnipresent. Currently they range from portable devices such as smart phones to large stationary installations like the systems controlling of power plants. Communication - stationary or over-the-air – of these particular systems form a network of control, sensing and influencing the environment. A cyber physical system is the result. These trends fundamentally influence industry (industry 4.0) and mobility, mainly vehicles for automated driving, electrical drive trains and car-2-x communication. As a consequence, sustainable mobility concepts are increasingly using embedded electronic systems to maximize efficiency, enable automation and reduce pollution. Read more about the resulting challenges and the answers of the new master program by downloading the Program Brochure. We offer a free Crash Course “Selected Topics of Electronic Engineering” (taking place from November 4 to November 8, 2019.) and highly recommend to participate in the course to update the technical knowledge, as it might be the crucial factor for a successful degree at HECTOR School. Graduates of the new master program Mobility Systems Engineering & Management receive a unique interdisciplinary education in systems engineering and state-of-the-art technologies in autonomous driver assistance systems or e-mobility at one of the best technical universities worldwide. Currently, KIT is ranked #1 in the employability ranking of Times Higher Education in Germany, #20 worldwide. The KIT Master of Science Degree will foster the graduates careers in the above named industries to a large extent. 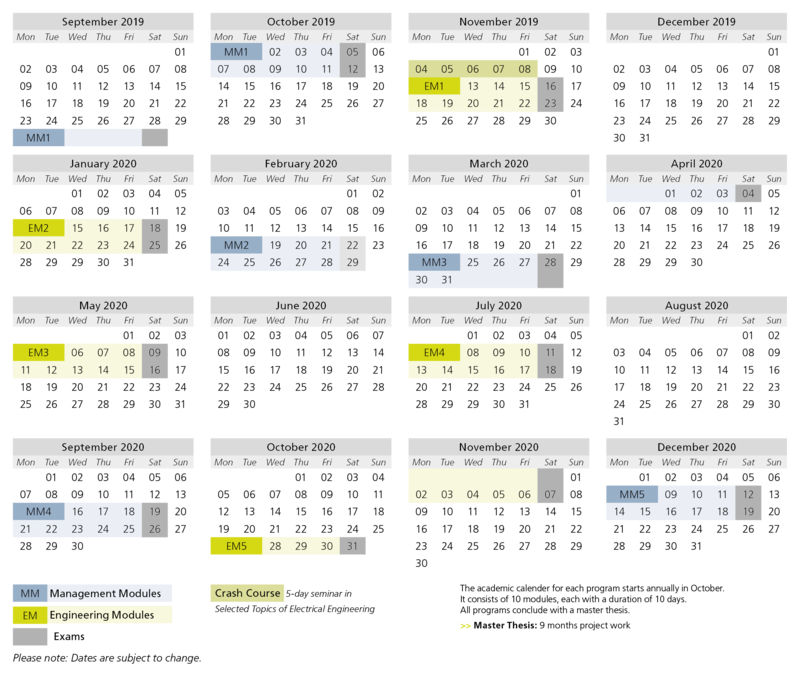 The Master Program is splitted in 5 Engineering and 5 Management Modules of 2 weeks, each over a period of 15 months. 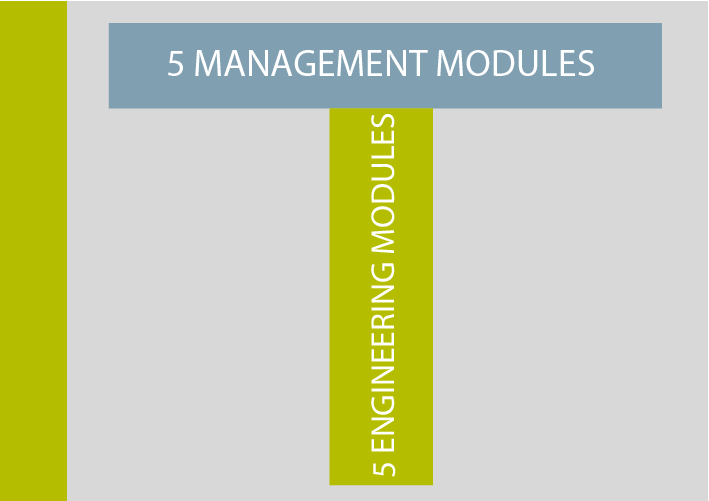 The modules are followed by a master thesis written in the company (MSEM: 9 months) and often used as a innovation project for the company. The overall duration is approx. 20 months.